Hammers, helmets and helping hands will be the theme of spring break for some MSUM students. This year, the campus Habitat for Humanity group is sending 30 students to four separate locations across the United States. Students will help build homes for those in need. Alexis Greer, an early childhood education sophomore and campus chapter board member, joined the club as a freshman. 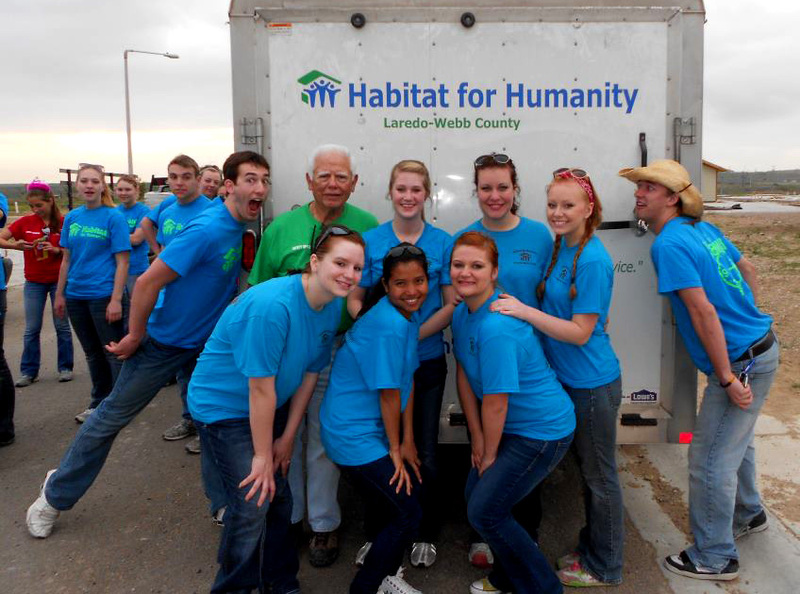 Greer spent her 2012 spring break in Laredo, Texas building a house with students from MSUM and NDSU. This year, she will be on the van headed to West Palm Beach, Fla.
“Last year was a really good experience. We made new friends and the crew leaders were really fun,” Greer said. According to their website, Habitat for Humanity is able to provide houses to low-income families through non-profit mortgage, donated funds from community members and the time and effort of the homeowners and volunteers who build or repair the homes. Greer said that many people who have been given a Habitat for Humanity home stay connected to the nonprofit. While in Laredo, Greer and the others were given food and shown around the town by homeowners. The sophomore is excited for the trip and plans to continue building homes on spring break in the future. “You learn skills that you normally wouldn’t, I mean, I learned to put siding on a house,” Greer said. The four groups will leave March 8-9 and return March 16-17, depending on their destination. Besides the annual spring break trips to build homes, the campus group also volunteers at the ReStore and the Dorothy Day House.